Long Term Care Insurance facts can be the subject of many myths as well. Some of these myths seem to be based on the way things “used to be.” Rising costs in health care and longer life expectancy mean people need to prepare for the chances of needing Long Term Care more than ever. Smart Money estimates that living to 100 will cost you $3.5M. Long Term Care Insurance Facts and Myths: My children will take care of me. In the past, it was common for family to take care of family. If, for example, Mom reached the point where she needed Long Term Care, she would pack up and move in with her children. Today, our society has become more complex, and now, typically, both the husband and wife are employed. No longer do they have time to take care of Mom (or Dad). Furthermore, where people used to live in the same town in which they grew up, now they move all over the country, and even all over the world. Long Term Care Insurance Facts and Myths: Medicaid will pay for my Long Term Care expenses. Medicare becomes your primary health insurance once you are either disabled or 65 years of age or older. Though helpful and valuable, Medicare is still basic. It is not designed to pay for Long Term Care expenses. The most Medicare will cover is 20 days at 100% coverage. Your Medicare supplement will pick up another 80 days. Medicaid is the government welfare program that pays for your medical and Long Term Care expenses only after you deplete your assets to basically nothing. The more assets you have, the more you can deplete. People who have higher net worth simply take longer to spend everything they have on Long Term Care services before Medicaid kicks in as they approach $0. Long Term Care Insurance Facts and Myths: I’m too young to buy Long Term Care Insurance. Most people assume that needing Long Term Care only affects “old people.” Wrong. The need for Long Term Care can occur at any age, to anyone. In fact, 40% of the people who need Long Term Care are of working age and between the ages of 18 and 64. Only 60% of the people who need Long Term Care are 65 and older. Christopher Reeves and Michael J. Fox are both tragic examples of people with promising futures who ended up needing Long Term Care much younger than 65. Needing Long Term Care can happen to anyone at anytime, and it is not reserved just for the seniors. Long Term Care Insurance Facts and Myths: I’ll use my own assets and self-insure. Long Term Care Insurance isn’t for everyone. 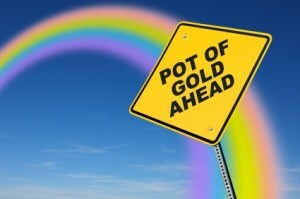 However, unless you have a pot of gold above $5 million, you should probably think twice about self-insuring. You never know what the market will return or how expensive Long Term Care expenses will be in the future. Don’t forget, if you self insure, there are tax implications and you may have to sell at the bottom of the market if the timing is wrong. Remember the stock market crash of March 2009? Long Term Care Insurance Facts and Myths: Long Term Care Insurance is too expensive to buy. The younger you are when you purchase Long Term Care Insurance, the lower your premiums will be. It only makes sense to plan ahead when you are younger and healthier. You will pay less in the long run if you buy Long Term Care Insurance when you are young. Even though you pay the premiums for a longer period of time, they will cost much less than if you wait. Genworth Financial, John Hancock, Transamerica, Mass Mutual, New York Life and Mutual of Omaha all have competitive rates, and LTC Tree can provide comparison quotes to help you decide on a Long Term Care Insurance policy to suit your needs.